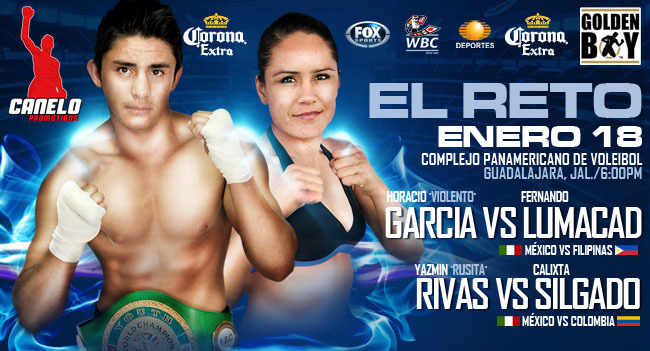 This Saturday is a pretty busy one Asian's fighting abroad, in fact there are two Filipino's in title fights in Mexico. Unfortunately neither is truly represented on the posters relating to their fights, though after last weeks poster faux pas it's somewhat understandable. For the show in Guadalajara, Asian interest will be centered around Filipino fighter Fernando Lumacad who will be looking to claim the vacant WBC Continental Americas Super Bantamweight title. Unfortunately for Lumacad, he'll be the big under-dog against the unbeaten Horacio Garcia and will need to put in a career defining performance to defeat the unbeaten man. Of course Lumacad has a bit of an up and down career. He's been the distance with both Carlos Cuadras and Hernan Marquez, though was stopped in a round by Felipe Orucuta and in 3 by Jorge Arce. He'll need to be at his best to make Canelo and Golden Boy regret not having his image somewhere on the poster. Unfortunately we don't expect to see Lumacad survive the 12 round distance here against the very promising Garcia. With the poster not featuring Lumacad's picture we don't really rate the poster, and that's with out even meaning how it sort of looks....wrong, especially in the case of Yazmin Rivas's face which fails to match her neck and body in this picture.